A Pooled Trust is a special type of trust that allows individuals to become financially eligible for public assistance benefits while preserving their resources in trust for supplemental needs. While not necessary for everyone, the end result of joining a Pooled Trust is that trust beneficiaries can receive the public benefits that meet their essential needs while maintaining a supplemental fund that is available to meet their special or supplemental needs that are not provided by public benefits. Why Join a Pooled Trust? Under current Federal Law, any assets in an ordinary trust will be counted against recipients of public benefits when those benefits have asset and income limits. Any portion of the trust funds that can be reached will be counted as an asset, and any portion of the interest that could be paid out will be counted as income. As a result, recipients of public benefits will be disqualified and their benefits discontinued. In the case of someone who is applying for benefits, the application for public benefits will be denied. What are the added benefits of a Pooled Trust? Who can benefit from a Pooled Trust? For what items can the Pooled Trust funds be used? What is a Pooled Income Trust in New York? A Pooled Income Trust is a special type of trust that allows individuals of any age to become financially eligible for public assistance benefits, such as Medicaid home care, while preserving their monthly income in trust for living expenses and supplemental needs. Why join a Pooled Income Trust in New York? Under current Medicaid law in New York, any monthly income in excess of the Medicaid monthly income allowance has to be spent down on medical or home care services before Medicaid will provide coverage. Unfortunately, excess income each month cannot be spent on living expenses such as food, rent, clothing, and utility services. As a result, Medicaid recipients will not have sufficient income to pay their normal monthly living expenses. In contrast to the above, Medicaid recipients in New York who deposit their income in a Pooled Income Trust will not be subject to the rules that normally apply to excess income. In other words, Trust income will not be counted as available income to be spent down each month. This benefit of favorable income protection is available by joining a Pooled Income Trust Income Trust. What are the added benefits of a Pooled Income Trust? In addition to the primary benefit of protecting their income while receiving public benefits, Pooled Trust beneficiaries receive the added value derived from pooling funds for investment and management purposes. By virtue of the Pooled Trust’s size, The Trustee can more effectively manage and administer the sub-accounts set up for each of the beneficiaries in the Trust. Typically there are modest enrollment fees and monthly maintenance, along with a one month security deposit. 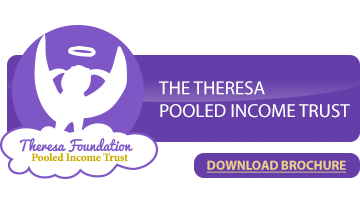 Who can benefit from a Pooled Income Trust? The following list provides examples of individuals who can benefit from a Pooled Income Trust. • Recipients of government benefit programs, such as Medicaid, who are residing in the community. • Persons residing in Assisted Living Communities under the New York Medicaid Program who would like to protect their income while accessing Medicaid. For what items can the Pooled Income Trust funds be used? What are the Basic Requirements for Joining the Trust? • The beneficiary must be disabled as defined by law. For purposes of the Trust, “disabled” typically includes age-related infirmities. • The assets going into the beneficiary’s trust account must belong to the individual beneficiary. • The Trust account may only be established by a parent, a grandparent, a legal guardian, the individual beneficiary, or by a Court. • Each Trust account must be established solely for the benefit of the individual beneficiary. For a list of New York State Pooled Income Trusts, click here.